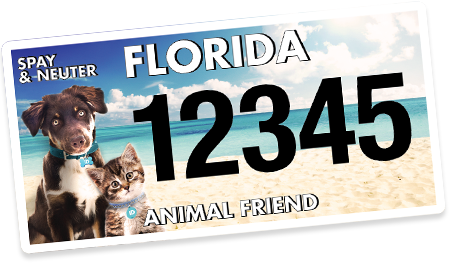 By purchasing a Florida Animal Friend License plate, you help fund free and low-cost spay and neuter programs across the state. Your individual annual donation adds up to dozens of large grants which are professionally implemented and evaluated. Click here to learn more.